BD Showbiz is dedicated to providing high quality and affordable LED display for any type of event in bangladesh. We have worked on a wide range of demanding projects, as can be evidenced by our client and event list. BD Showbiz provide all types of LED such as LED WALL P3, P5, Floor LED, DJ booth LED box, LED wings, LED projection, Live LED projection and many more for rent and sale in allover the Bangladesh. send them a system with incompetent technicians. Any event receives the same attention to detail that makes our service stand out above the rest. We understand that neatness counts: cables gaffed down with tape or carpet runners, and all equipment properly maintained and cleaned so that it looks as good as your needs. BD Showbiz maintains a diverse, well trained, and knowledgeable staff that can assist our clients in selecting the proper video and audio. Our technicians have substantial field experience, often working directly with producers, special event coordinators, caterers, and venue personnel. They communicate effectively and professionally to make your event a success. If you are producing a special event, now a day LED display is of the highest importance. You want quality equipment run by a consummate professional. Our LED display/wall Services has delivered years of excellent quality, reliable display for many top companies of Bangladesh. Our event services professionals have delivered amazing projection for numerous major corporations and institutions such as Bangladesh Air Fource, Bangladesh Police, Yunus Centre, Gemcon Group, Alliance Francaise De Dhaka, Ejab Group, Tele-Talk, Airtel, Many more garments, Most of School/Collage/university in bangladesh and many others. Our professional, road-tested equipment is kept in the highest repair (and our backup guarantee is unbeatable!) and will satisfy your visualization needs. If you are producing a live event of any size, you have to have dependable visualization unit to make your audiences more attractive. You need quality LED display equipment run by experienced professionals. BD has over 8 years of combined live LED display rental experience. With years of experience in clubs and hotels, at countless festivals and arenas, our veteran staff can handle any type of setup and provide you with innovative visual solutions. With a good visualization, today no one can reach their event gole. Talk to us today and we’ll tailor a package specifically for your event. We can design a unbelievable DJ stage/booth sat as necessary to fit your needs and budget. Sometime you need to display Movie/History/Documentation to your Client, Dealers, Shareholder, Audience, Friends And Family, Guests, Students, Parents or many others. You must need a good quality projection system whatever it projector or LED display. 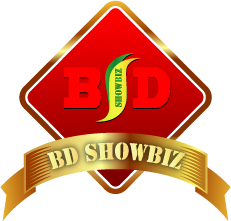 BD Showbiz ready to make it easy and memorable for you. Our Projection System, LED Screen, LCD TV with high resolution is reasonable and professional than any others service provider in Bangladesh. Talk to us today and we’ll tailor a package specifically for your event. We provide all types and any size of LED display/wall/backdrop any where inside bangladesh.